Little things matter in pet care. Being a pet parent not only keeps you occupied but also makes you responsible. Every little aspect of a pet’s life needs to be handled with care. Raising pets is about making wise decisions about every happening in the pet’s life. From choosing which flea shampoo to use to which dog food to administer, pet parenting needs utmost sincerity in all aspects. Pet treatments call for attention and prudence from the side of pet parents. Right medicines when administered in the right manner make a whole lot of difference in the pet’s health. One of the grave mistakes which pet parents make is using medicines after expiry dates. This is never recommended as it may result in harmful effects and your lovely pooch may have to suffer its consequences. Not following label instructions and using treatments after their ‘use by’ date is an utter mistake on the part of pet parents. Check why this lack on your part could prove really expensive for your pet’s health. Why not to use pet medications after expiry dates? It is an illegal act to use pet treatments that have crossed the ‘use by’ date. The pharmacy laws and the FDA regulations do not allow one to use such drugs and hence it is an act of disobeying the laws of animal safety. After an estimated time period, there is a definite reduction in the potential of the drug. This hampers the healing capability of the treatment. So, there is no point giving the treatment as it will not give the desired effects. In fact it will do no good to your pet. Expiry date actually suggests the health of the active ingredients. It mentions the time period after which the elements start losing their actual chemical properties. Change in their chemical composition may prove harmful for the pets. Sometimes degradation results in a more concentrated form of the medicine. This increased concentration of ingredients may prove hazardous for small animals like cats and dogs. So, it’s better to avoid using treatments once their expiry date is over. When the chemical compositions of the ingredients change then it may cause allergies and reactions. The slightest variation in the chemical structure could be extensively hazardous for pets. Medicines and treatments may develop toxicity and thus your pet may suffer from adverse effects. This is a serious matter as your pet’s health and life are at stake. So, save your pet from the poisonous effects of a non usable drug. It is evident that medicines that have crossed expiry date are harmful for your pet. Claims that it is not so cannot be given an ear as the consequences may be fatal. So, next time when you clean your pet’s closet just make sure you throw medicines with an expiry date. It is neither good practice on your part nor a healthy habit for your pet. In case of any doubts, just ask a vet and follow his advice. 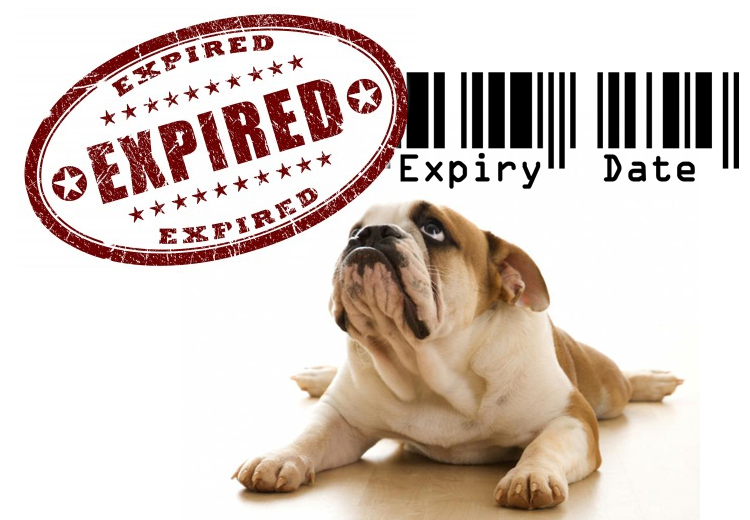 Thus, expiry dates is certainly not an aspect to ignore in pet care. Isn’t it?